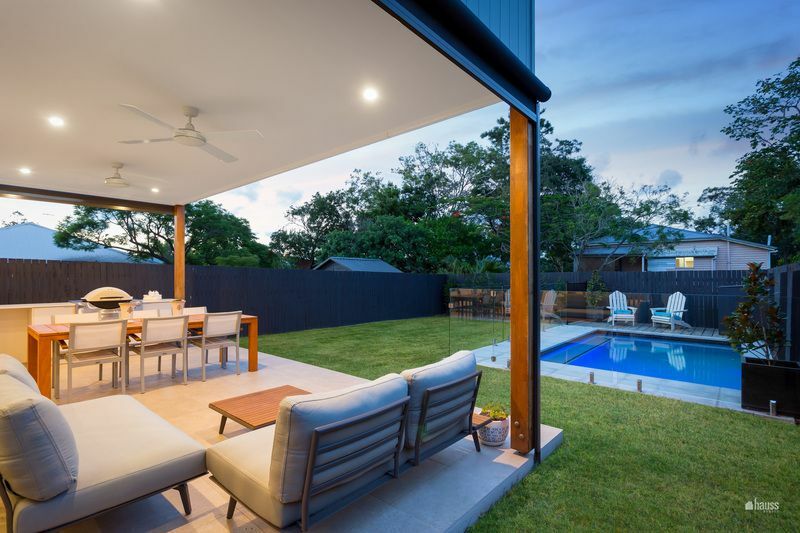 Brilliantly designed and adorned with the latest fittings, no expense has been spared in the creation of this contemporary home, which represents an undeniable juxtaposition by offering innumerable features whilst retaining the feeling of simplicity and minimalism. 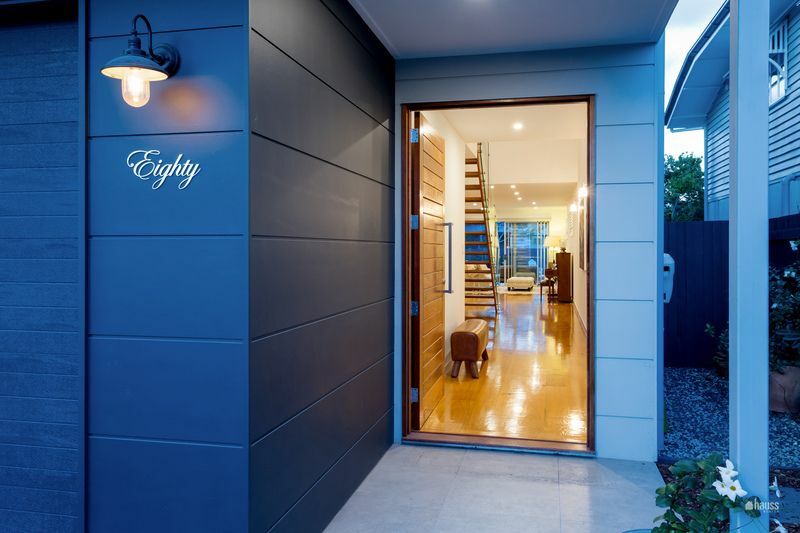 As you walk in through the entrance you are struck by the spaciousness with the open staircase with glass balustrades on your left and the two modern chandelier lamps hanging from the upper floor ceiling on the right. 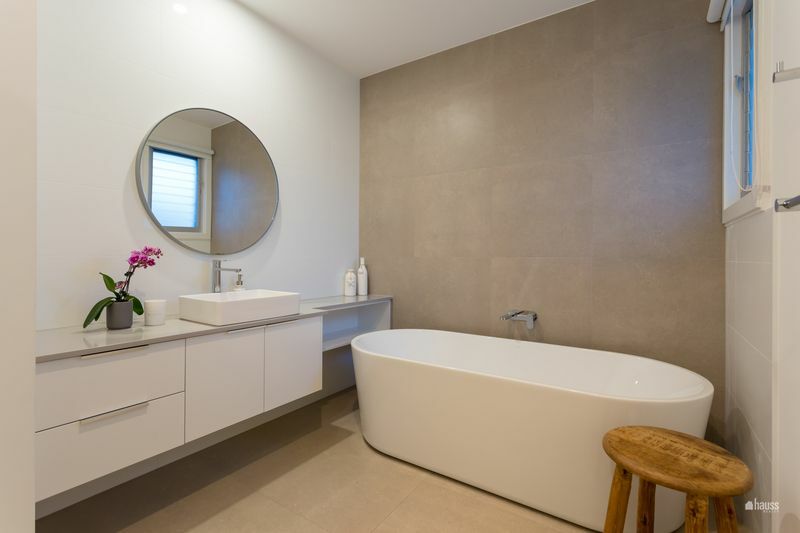 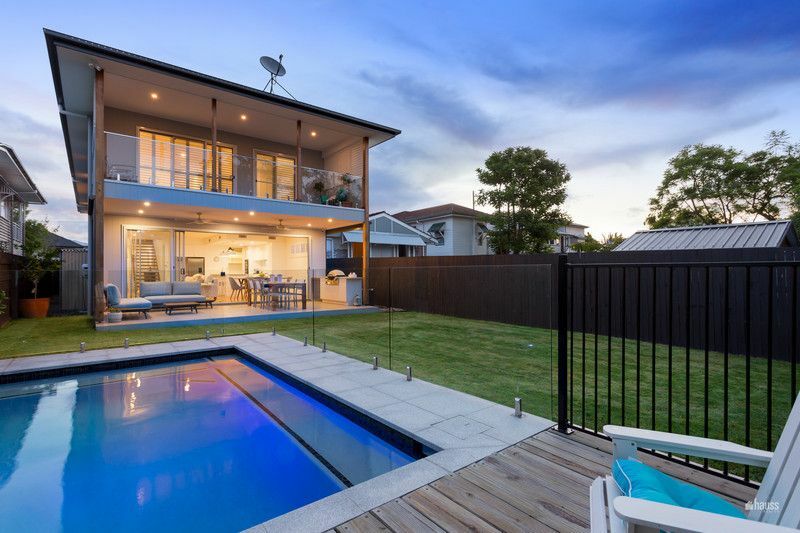 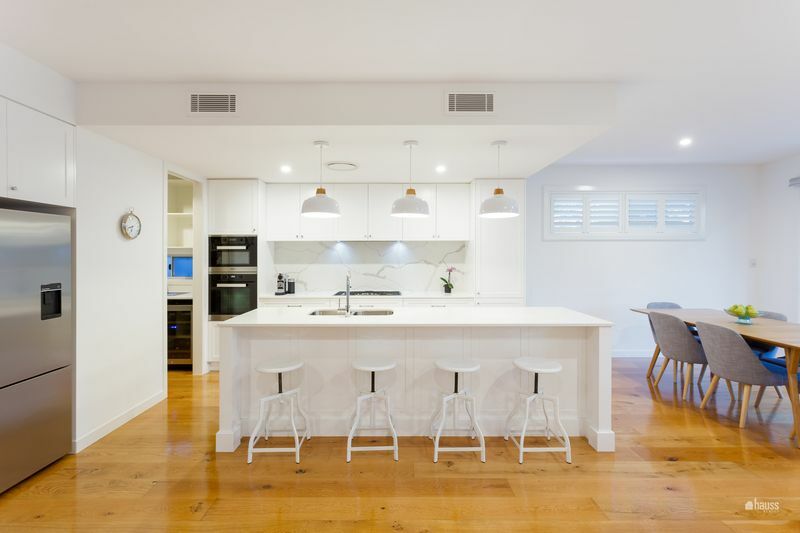 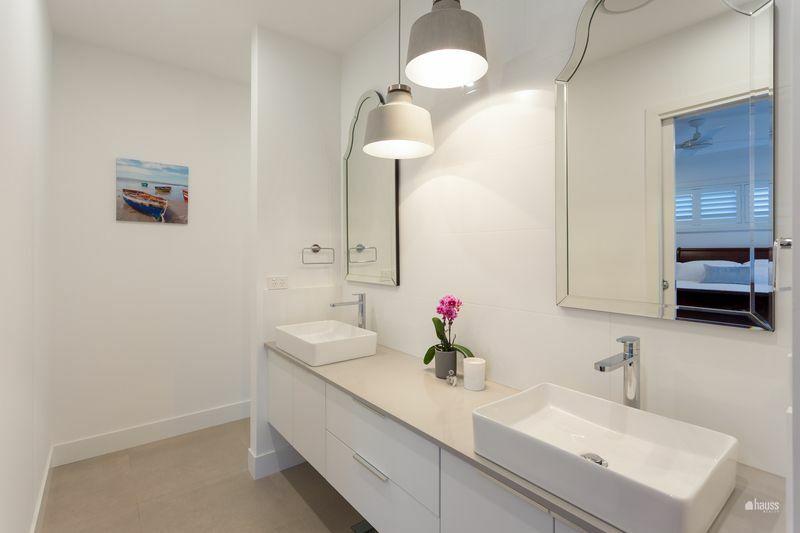 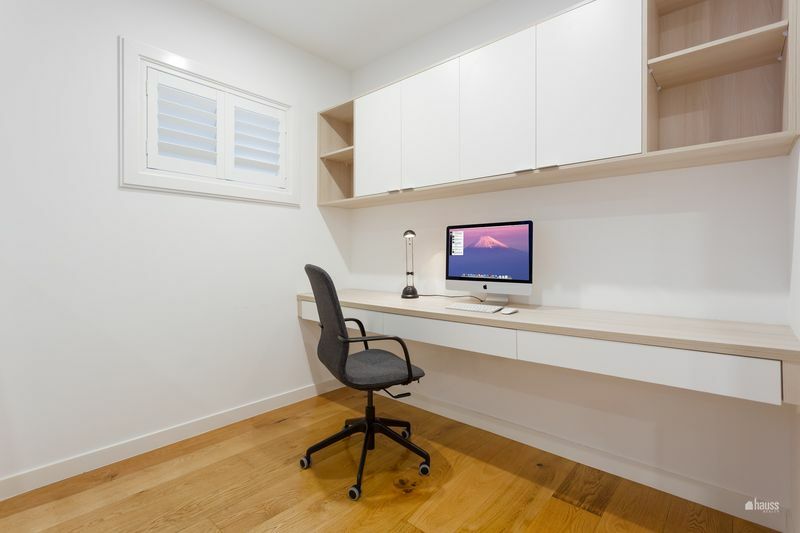 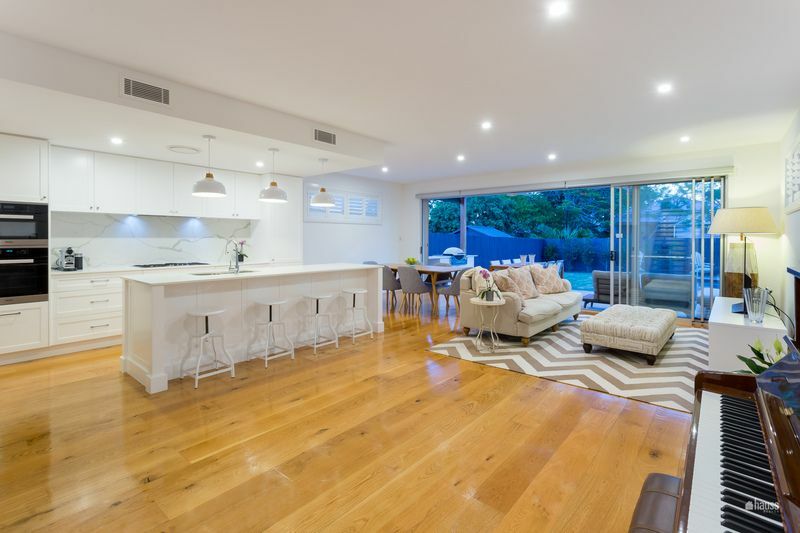 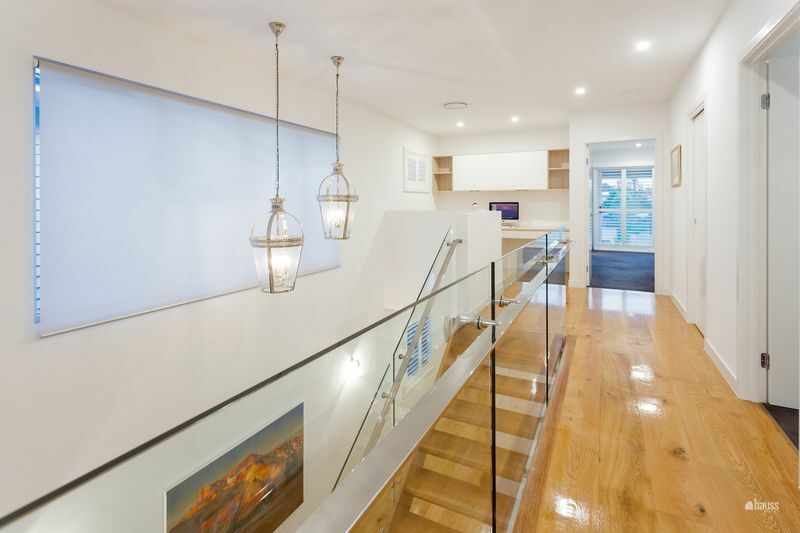 Sitting on a 411m2 block this home is light and airy with a natural flow through from front to back. 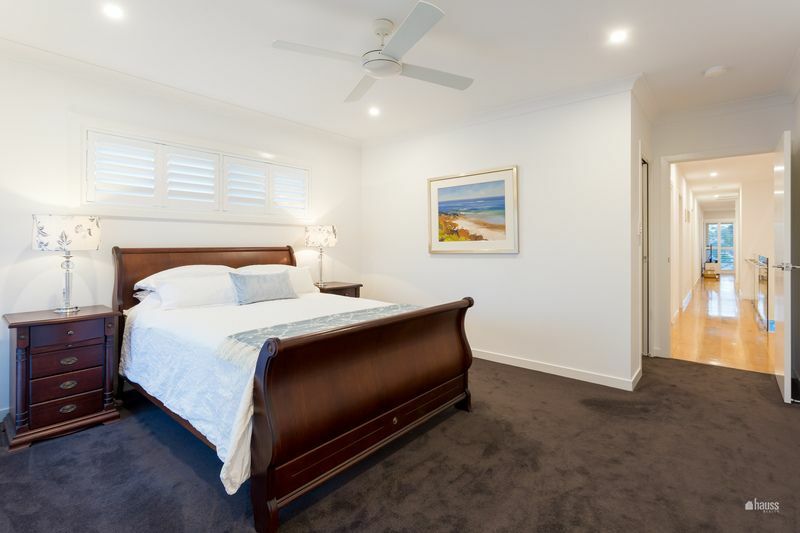 It features 5 bedrooms, all with built in robes and lush carpet, the master with a large ensuite and a separate walk in robe. 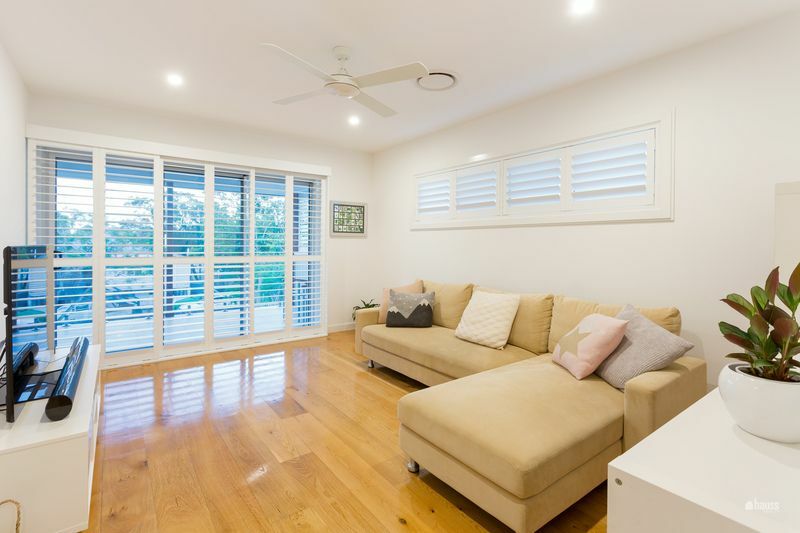 Floorboards and plantation shutters run throughout. 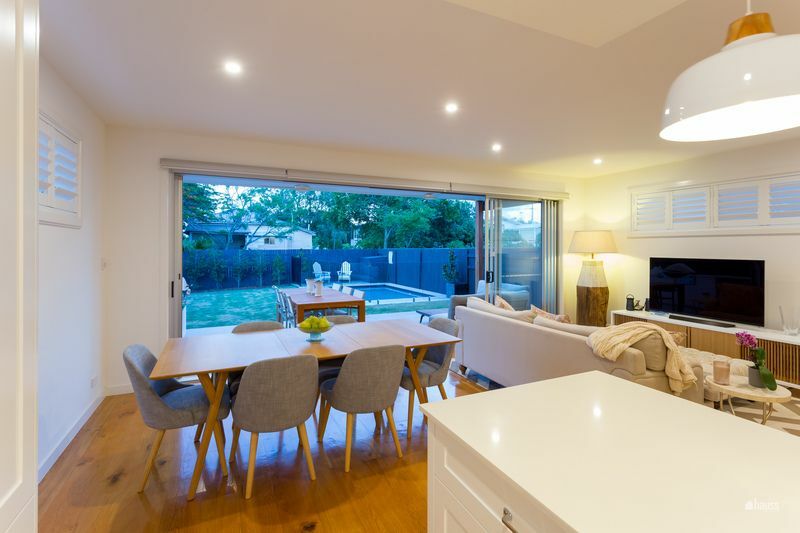 There are two separate family zones, a study nook, white open plan kitchen, living, dining zone with a butler’s pantry. 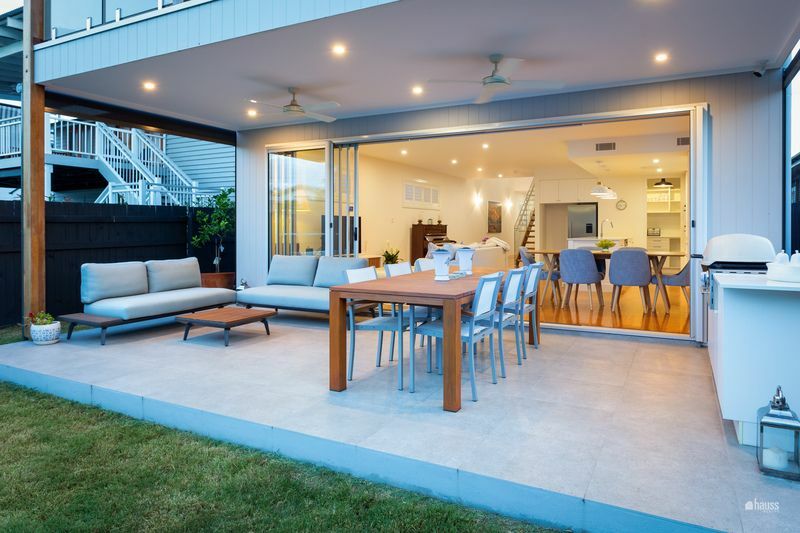 This leads onto the paved outside alfresco barbecue and dining area and overlooks the inviting pool and large lawn. 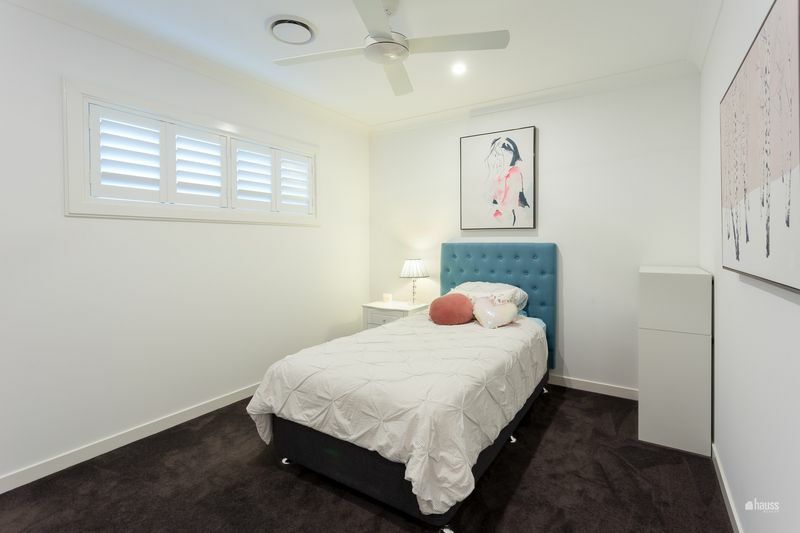 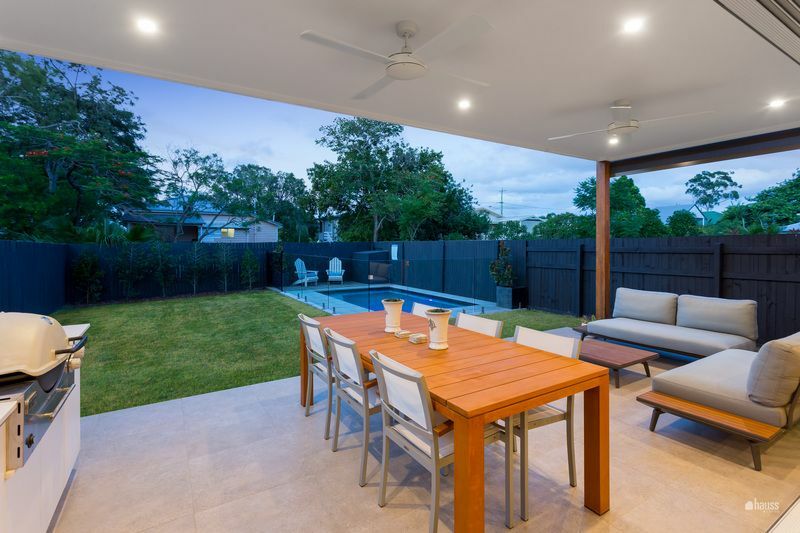 This home is fully air-conditioned as well as having ceiling fans in the bedrooms, upstairs lounge and the outside back balcony and the downstairs alfresco area. 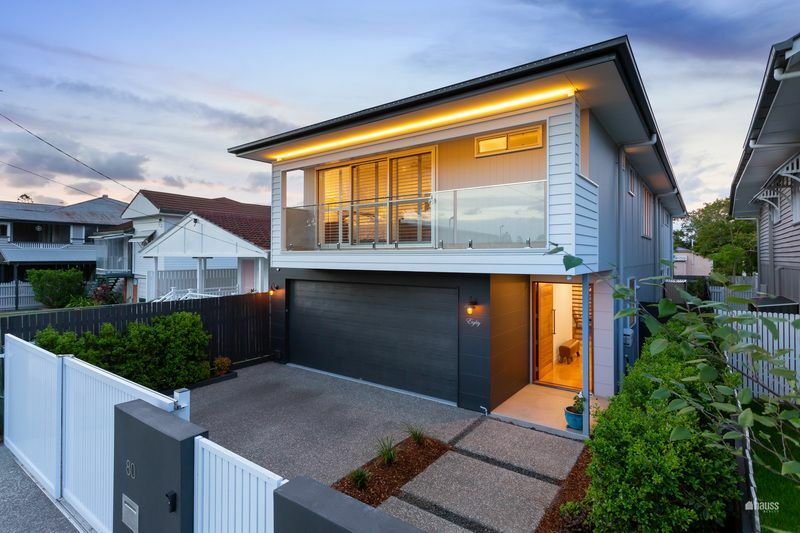 This property is fully fenced, features electronic security entrances and a two-car garage with an electronic door, LED lighting, a backyard shed and loads of storage space. 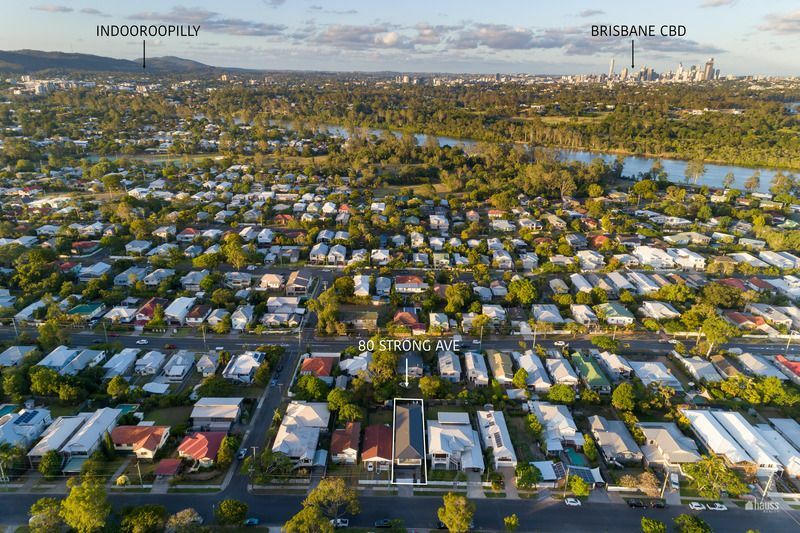 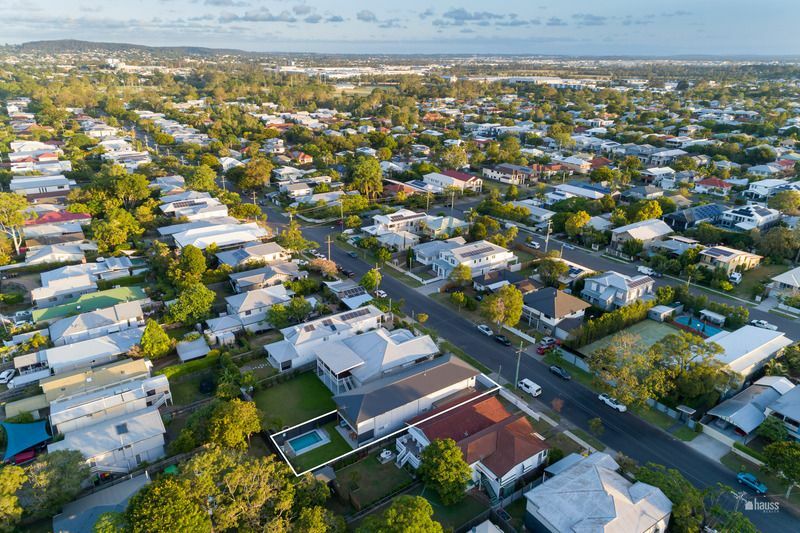 Located in the highly sought after family friendly suburb of Graceville, renowned for its community feel, choice of excellent cafes and restaurants, and both private and public schools, 80 Strong Avenue is an easy walk to public transport, shops, parks, schools and the river.